Christmastime can mean a whirlwind of activity, not just with activities but with friends and family coming by to say hi. And this can all become quite the adventure if you care for someone who has Alzheimer’s. Family members should seek out information from that person’s past, since long-term memory is often preserved in people with the disease. “Asking for the old favorite stories, or ‘tell me what it was like when you were little,’ or ‘what did your mom make for Thanksgiving,’ [or Christmas] — things that are more long-term memory,” Barclay said. Barclay also recommends singing and praying, which people with Alzheimer’s are often able to do long after their short-term memory fails. 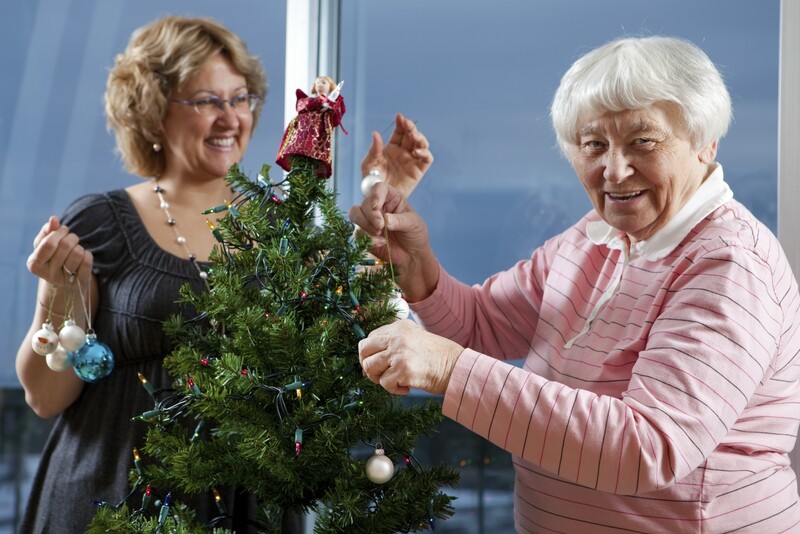 What are your Christmas-with-Alzheimer’s tips?